Microservices, and especially the Event-Driven variants of them are often associated with cool, hard-to-grasp, technologies. Instead of building what really matters to our business, we spend most of our time tweaking and integration different technologies and frameworks. Spring Boot is famous for its autoconfiguration capabilities. 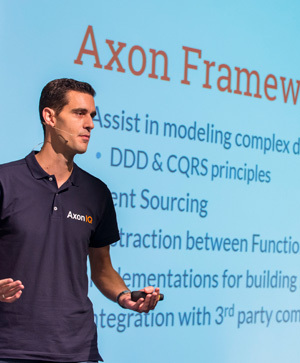 Axon is known for its support for CQRS and Event Sourcing. What happens if you unleash the power of both onto your application? Through live coding, we’ll see how it becomes trivial to build and scale an event-driven application. So trivial, that it almost becomes boring….